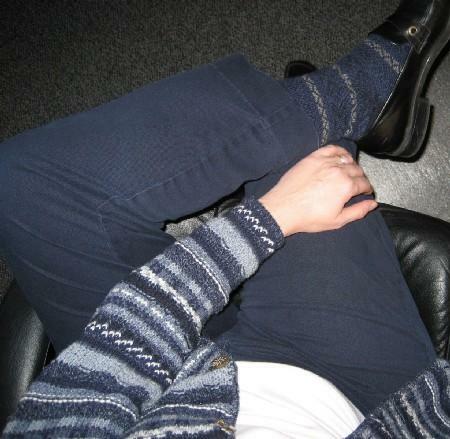 This is the kind of thing that delights me way more than is reasonable: my socks have the same kind of design on them as my sweater does, patterned stripes in blue and grey and navy. I get a similar buzz when I put fabrics together for a quilt and they coordinate but aren’t too matchy. Sometimes I’m really easy to please.